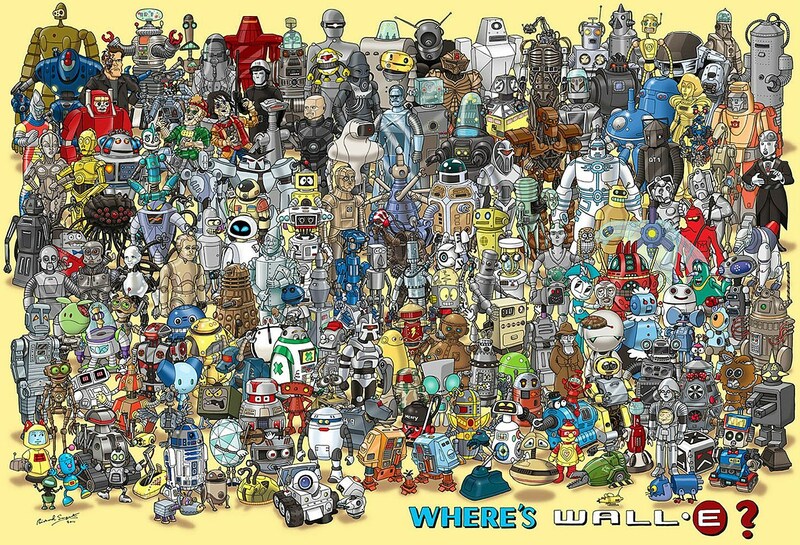 How many robots do you know? For today’s Trivia Tuesday, let’s test your pop-culture and robotic knowledge! Richard Sargent of Hopewell Studios would like you to find Wall-E, but there are numerous other robots from different films, TV, and books. How many can you name? So, why robots? Well, today there will be a match in Shanghai between table tennis champion Timo Boll, and a robotic table tennis arm named, ‘Agilus’. And, come on, everyone loves a robot showdown. Want to know more? Check out the article -here-.